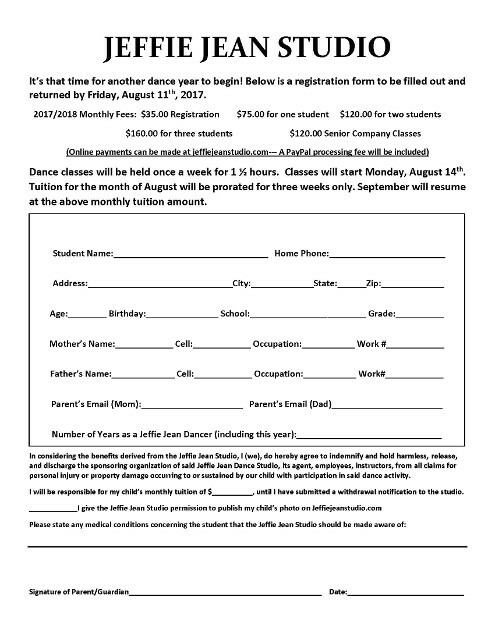 Students are welcome to register at any time during the dance year! Please download and fill out the attached registration form. Registration forms may be emailed to jeffiejeanstudio@gmail.com or mailed to the studio. Withdrawal notification is required, in writing, with at least 30 days prior notice. Please download the attached withdrawal form and return to the studio. Click here to print the withdrawal form.